News that Target will shut down its store at the Mondawmin Mall after the Christmas season surprised and angered many across Baltimore. More than a store, the hip-yet-affordable retailer was a symbol of something positive for our part of the city. Here was a prominent, national big-box locating in a primarily African-American, transit-friendly neighborhood serving locals eager for quality products and attracting shoppers who might not ordinarily patronize Mondawmin Mall. Everyone familiar with the store, including me, is shocked about its pending closure because it always seemed busy. Details about the closing are hard to come by. 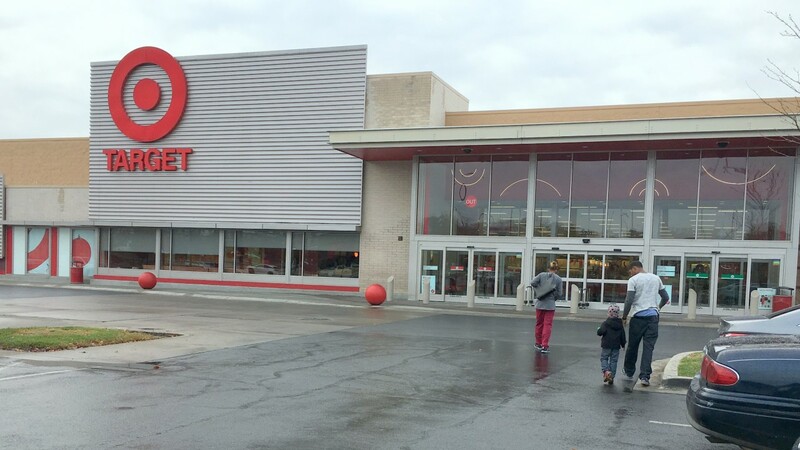 What we know is that Target is closing 12 stores across the country, including the West Baltimore location. With that closure goes 150 jobs in a community where the unemployment rate is more than 2½ times the national average. Many have assumed that pressure from online retailers, like Amazon, was ushering in the decline of Target and other brick-and-mortar retailers. In reality, Target is in the midst of expansion, opening 32 new stores in 2017 and planning 35 new stores next year as part of an announced $7 billion investment plan. Our city leaders never required any long-range commitments by Target in return for the subsidies they bestowed. Some people mistakenly took that to mean that the store was not profitable, but that is not what the spokeswoman said. “Poor performance” only means that the store isn’t profitable enough. I have also heard many say, matter of factly, that the closure was due to a high rate of shoplifting. This was never claimed by Target and was never reported, so I can only imagine why anyone would jump to that conclusion. I asked one online commenter why he assumed that there was a higher rate of theft at the Mondawmin Target than any other store. He declined to answer me. The point is that we have no evidence of this assertion. Some have also rushed to Target’s defense, pointing out that the company has the right to make any business decision it chooses, despite receiving the benefit of $15 million of public investments at the site to make construction of the store possible in 2008. It’s true that the company isn’t breaking any laws – or even any Community Benefits Agreement – because none exist. That’s because our city leaders never required long-range commitments by Target (or General Growth Properties, the Chicago-based owner of the mall) in return for the subsidies they bestowed. Nevertheless, the move seems heartless coming from a company that touts “being an active citizen and good neighbor in our communities” on its corporate website. I visited the store yesterday to see just how poorly it was performing. The store was busy at 5 p.m., with six registers open (plus four self-checkouts) and lines averaging four customers deep at each. One customer told me that he was “devastated” to learn of the closure because he lives in the area and does not have a car. A community forum on the Mondawmin Target closing is scheduled TONIGHT at 7 p.m. at the Fine Arts Building Mini-Conference Center at Baltimore City Community College, 2901 Liberty Heights Ave., sponsored by 7th District Councilman Leon Pinkett III. Part of Target’s decision to close the store probably assumes that a certain percentage of the Mondawmin customers will drive across town or out to the county to shop at other Target stores. I happen to be a minority in my community who has a car and could make that trip if I chose to. But I won’t, and you shouldn’t, either. If I did, I would be playing into the hands of a corporate giant at the expense of my neighbors who don’t have transportation – and my neighbors who will lose their jobs when the store closes. If the people of West Baltimore aren’t important enough to Target, I’m not going out of my way to shop at another location. I’ll go out of my way not to. The move seems heartless coming from a company that touts “being an active citizen and good neighbor in our communities” on its corporate website. The silver lining to Target’s announcement is that the Mondawmin site is a prime location, accessible to many thousands of people by public transit. Several residential developments are underway in the surrounding blocks, which should increase consumer demand. Another business or businesses will want the spot. Hopefully they will employ just as many people. And despite fears that Target’s exit will create a local food desert, Shoppers Food, a full-service grocery store, is also located in the Mondawmin Shopping Center. Still, Target is going to be missed and is a reminder why city residents should support local businesses. The closing is also a wake-up call to Mayor Catherine Pugh and members of the City Council that tossing out subsidies to corporate chains – without demanding community commitments and long-term investment in return – is a sure way to miss the target. Eric Stephenson is president of the Sandtown South Neighborhood Alliance. He can be reached at eric@sandtownsouth.com.